The building of the Tower of London was begun shortly after the Norman Conquest by Duke William II of Normandy, later William the Conqueror, whose great keep, the White Tower, sits at its heart. The fortress was first constructed within the south eastern corner of the ancient Roman city walls, along the bank of the River Thames. Extended beyond the boundaries of the Roman city walls by Henry III, and developed as a concentric castle by Edward I in the thirteenth century, the Tower – the monarch’s stronghold amidst an often hostile city – became the home of major State Institutions such as the Royal Mint, as well as the setting for nationally significant historical events. 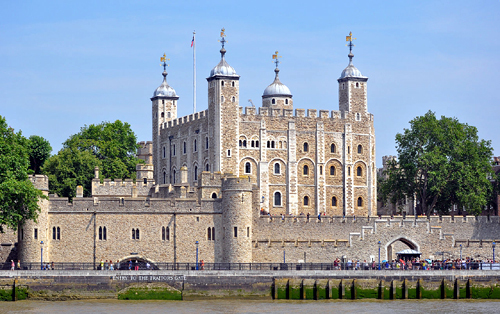 The Tower is the home of the Coronation Regalia and Crown Jewels, and the birthplace of the Royal Armouries Museum, which still displays part of its collection within the White Tower. The fortress is most strongly associated in the popular imagination with the Tudor dynasty, and the turbulent events of the sixteenth century, particularly with the many prisoners kept within its walls. The nineteenth century Romantic perception of the Tower, and the castle’s emerging identity as a tourist attraction, led to the demolition of many institutional buildings and the addition of new ‘medieval’ style neo-gothic edifices. The Queen’s House and the Bell Tower represent two of the most significant buildings within the Tower complex. The Bell Tower is thought to have been built in the late twelfth century and is thus one of the earliest buildings at the Tower. 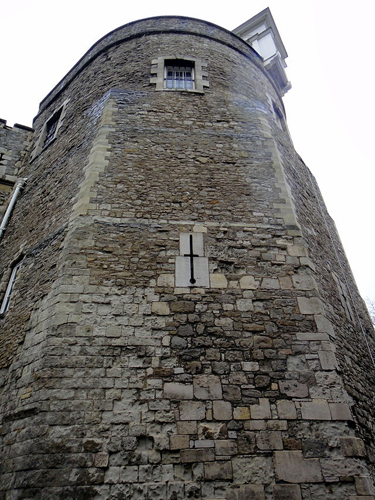 It was a mural tower providing a defensive function on the then outer south-west corner of the castle and was later used as a prison holding high-ranking prisoners including Saint John Fisher and, by tradition, Saint Thomas More. Above the Bell Tower is a seventeenth century timber bellcote housing a curfew bell bearing the date 1651. The timber-framed Queen’s House that adjoins the Bell Tower to the north and east was built in 1540 on the instructions of Thomas Cromwell over the remains of an earlier domestic building. 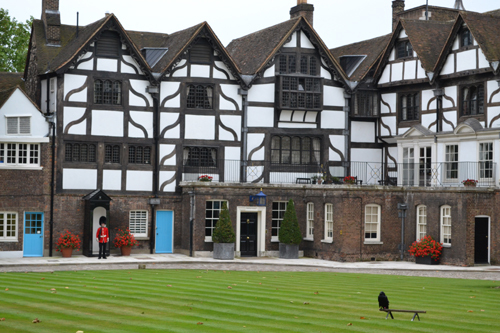 As such it represents the most complete high-status timber-framed building in London pre-dating the Great Fire of 1666. Structural evidence suggests that the building was constructed in two principal phases with the south range being earlier than the west range. The precise difference in date between the two ranges is not known however. The single storey brick entrance lobby that stands in the return between the south and west ranges was added in 1663-4, although appears to have been heavily altered in the eighteenth or nineteenth centuries. Until 1914 the external timber-framed elevations were rendered and the timbers concealed. 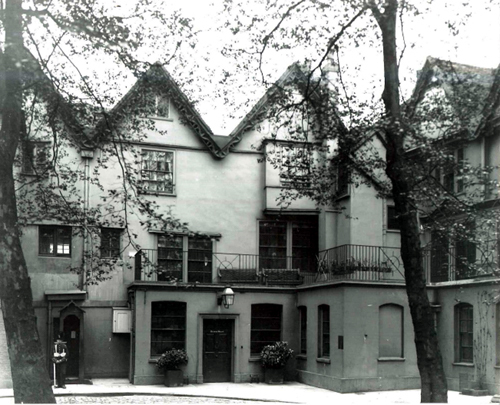 In 1914 a major programme of works was undertaken to restore the supposed original appearance of the building by stripping away the render and replacing eighteenth and nineteenth century sash windows on the north and east facing elevations with the extant Tudor-style casements. Nonetheless much of the timber-work here is thought to be original to the building and the ogee wind-braces were evidently intended to be seen. It is not clear therefore when the render was first applied to the building although it must have pre-dated the earliest view of the building made in 1720. Further alterations were made to the easternmost bay of the south range in 1960 when an external staircase tower was removed; much of the timber- and iron-work in this area is therefore of a relatively modern date. I was asked to carry out an analysis of the exterior of the Queen’s House and the Belltower. Extensive paint stripping in the 1960s has resulted in the loss of much early paint. However, from the limited evidence that survived it appears that the window sashes and frames were painted in pale stone colour or off-white from the late seventeenth century to the beginning of the nineteenth century. Black, red-brown and brown were employed from about 1800-1900 and paler colours were reintroduced after that. Many other discoveries were made. I am indebted to Dr Alden Gregory, of Historic Royal Palaces, for most of the above.